When Muhammad Luqman Shariff was finally able to pack a packet of nasi lemak by himself, it was a milestone for the 19-year-old, and a moment of hope for his parents. "We always worry about what will happen to Luqman when we are no longer around," says Mohd Adli Yahya, of his son. "We worry about how he's going to survive, who's going to look after him." 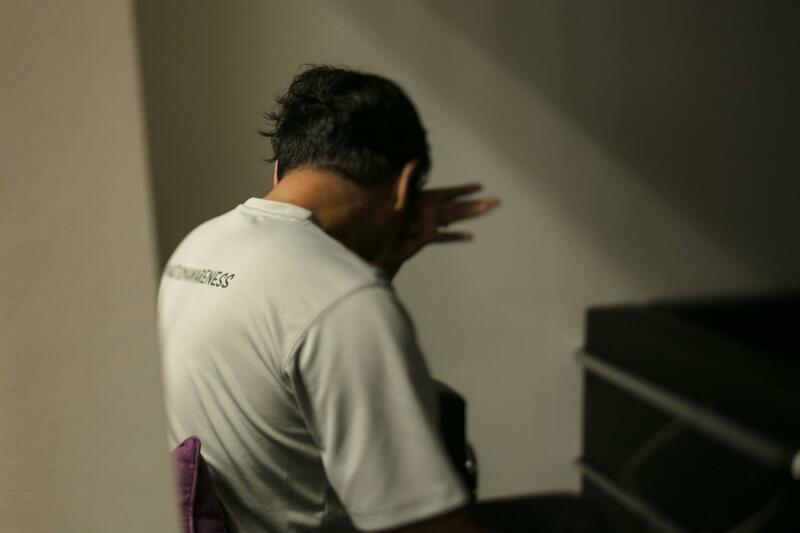 Luqman is autistic and nonverbal - a subset of autism where the person is unable to speak - and Adli knew that Luqman's chances of finding a job would be slim. When Luqman was a toddler, his autism was a wall between him and Adli, resulting in a great deal of frustration. Adli would discipline his son so severely, the episodes haunt him to this day. Lacking knowledge on autism, he felt helpless when it came to his son. Though their relationship has improved over time, Adli remains determined to continue making up for his past mistakes with Luqman. In 2016, Adli, with the support of his wife Nozilan Mohammed, founded Autism Cafe Project to help other parents and the general public learn more about autism through their awareness and outreach programme. So in 2016, Adli left his high-flying corporate job to start Autism Cafe Project, a catering business that would provide his son with a safe space to learn skills, and give him the opportunity to achieve a basic level of independence. A social enterprise, Autism Cafe Project also provides food services training to other autistic youth, and aims to raise awareness on Autism Spectrum Disorder (ASD) amongst the general public. Most importantly, the Project allowed Adli to spend the quality time he needed with Luqman, to know him better, and to aid him in his development. Aside from catering, Adli has also opened a cafe and is organising "pop-up" kiosks to sell nasi lemak - a dish of rice cooked in coconut milk and wrapped in banana leaf - to the public, so that Luqman has more opportunities to interact with the public. Through these interactions, Adli hopes for better understanding and acceptance of the autism community: "I would wish the public would understand us, the parents, as well as our special needs youth... Do not see them as non-productive people because if you do that there will be no hope for them. But if you see them as individuals with potential, that could open up a whole new world for them." Find out more about Autism Cafe Project at https://www.facebook.com/Autismcafeproject/. This article was first published in Our Better World.